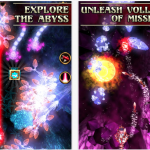 Abyss Attack ($0.99) by Chillingo Ltd is a deep sea bullet hell shmup and endless runner hybrid style game. If you loved games like Dodonpachi Resurrection or Nuclear Outrun, then chances are that you’ll enjoy this title. 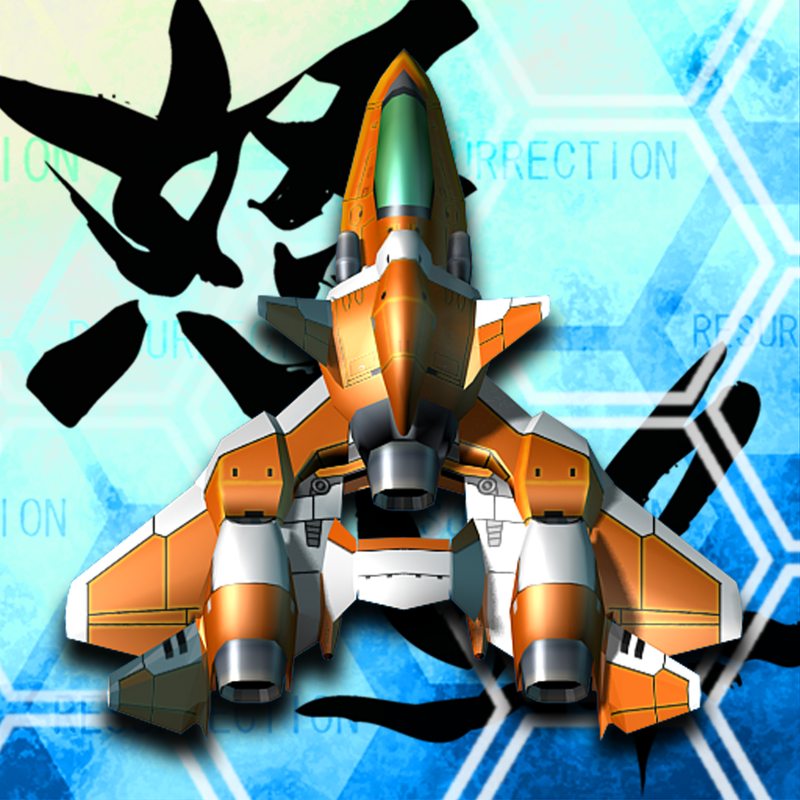 It has been a while since I’ve played a good shmup on my phone, but it’s definitely one of the game types that I definitely enjoy. I mean, what is more fun than plenty of colorful explosions and dozens of bullets that you need to carefully maneuver through and avoid touching? It’s always a game of skill, but always having it take place in space can be a bit tiring, right? 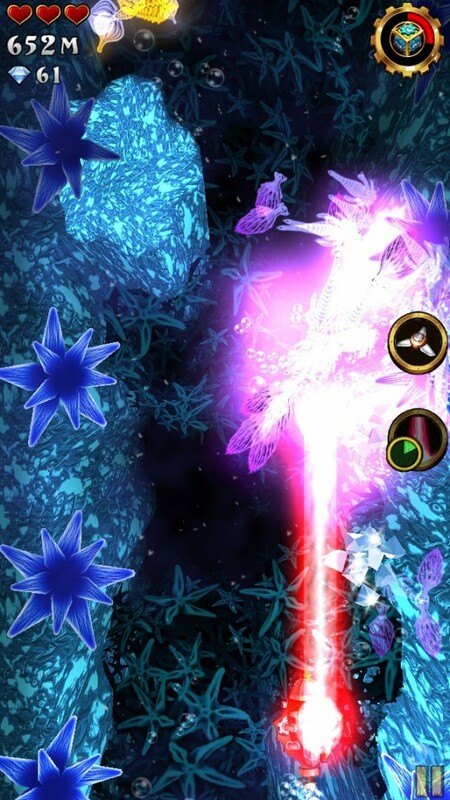 That’s why I was attracted to Abyss Attack — it takes all of the fun of the shmup genre to the abyssal waters and the mythical creatures that inhabit it. Oh, and the fact that it’s a test to see just how far you can go in a game will keep you coming back for more. I am quite impressed with the visuals that are found in the game. The moment I saw screenshots in the App Store, I knew I had to check it out. At first, I thought that the ship on the main menu looked kind of jagged on my iPhone 5, but once I started a game, everything smoothed out and looked great. 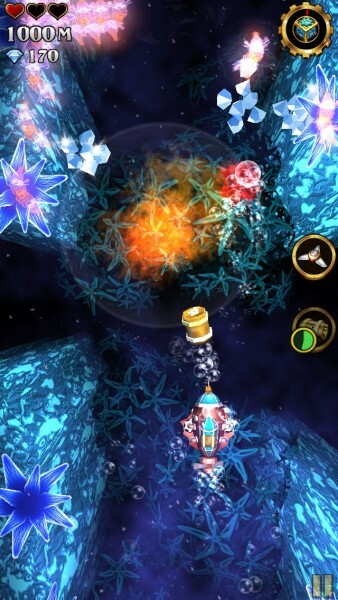 The graphics have a bit of the 3-D feel to them, and everything is colorful, lush, and detailed. I did feel like there was a bit of lag at times on my iPhone 5, but it was not problematic. 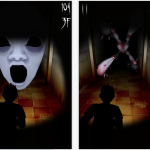 Abyss Attack also features a soothing soundtrack that fits in very well with the fairy-tale like creatures and environment. I was a bit surprised at first, because my initial impression of this game was just a shmup. 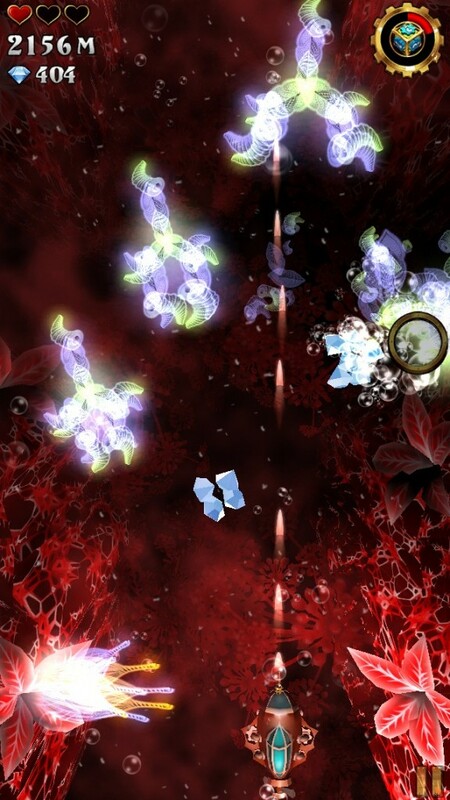 However, as it’s a mix of both bullet hell and endless runner, there aren’t different game modes that I’ve come to expect from other shmup-only games. With Abyss Attack, there is only one game mode, and no level selection. However, the game will randomly generate the layout and small enemies that you’ll be facing, so every run will not be like the previous one. There are bosses though, and these will remain the same each time. The controls are simple, as far as the genre goes. 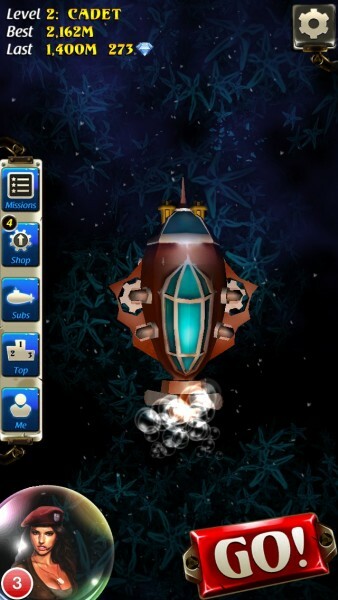 Your ship will be firing automatically, and you maneuver it around on the screen freely by dragging it around with your finger. The weapon will become stronger as you get farther, but so do the enemies. There will also be power-ups in boxes that you can obtain, like bombs, missiles, and lasers, which you collect by having your ship touch the box. 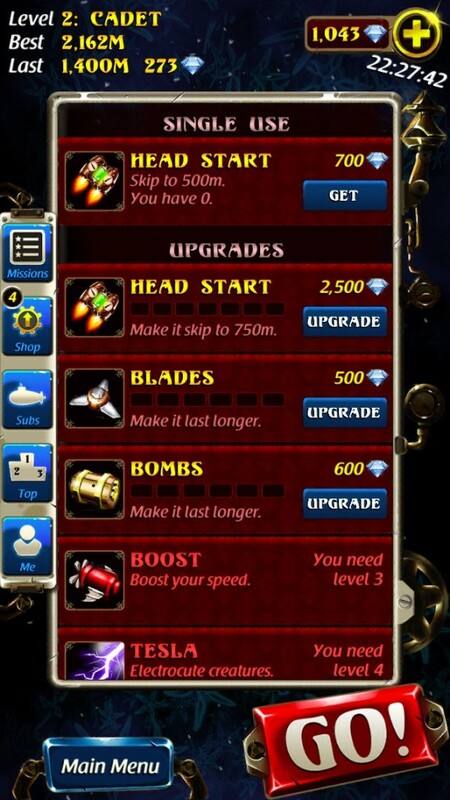 Your equipped power-up items from before the run are able to be used at any time by tapping on the side buttons. 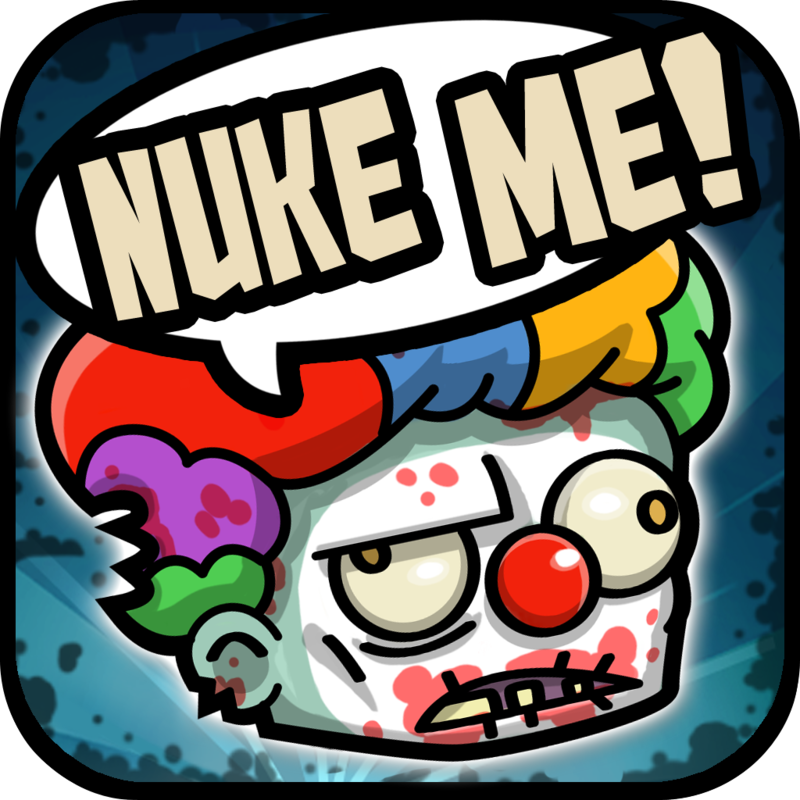 I really enjoy the enemies that are featured in this game. Not all of them will actually launch projectiles at you, like the traditional shmup, but rather, they will come towards you at once — your job will be to shoot them down before they hit you. 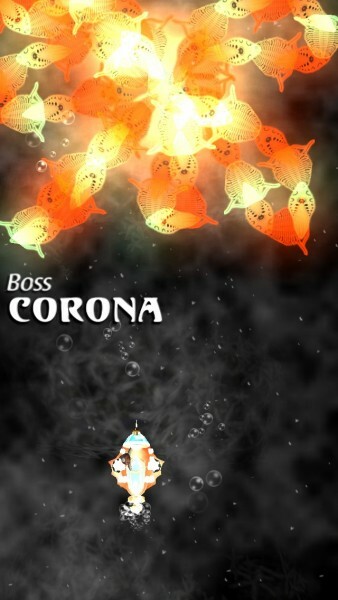 Of course, the bosses will have orbs launching from their bodies as well as other unique traits, such as sonar that shuts off all your weapons for a brief amount of time. You can only take a couple of hits to your ship before you get blown up, so be careful, unless you find a shield or two from power-up boxes. Defeated enemies will drop gems, and sometimes you’ll get lucky with mega gems that are worth 15 gems. These can be used in the shop to purchase power-up items, boosts, and upgrades. 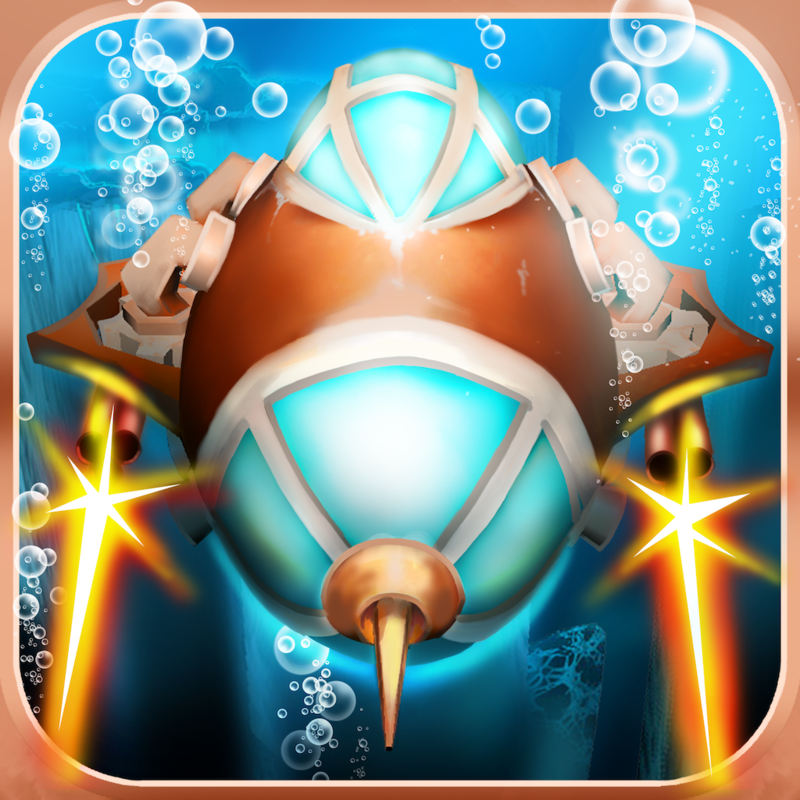 There are also various submarines that you can choose, as well as different colored lights. However, as these can all be a bit pricey, I’d focus on getting the upgrades first, which should help you be stronger and rack up more gems quickly. 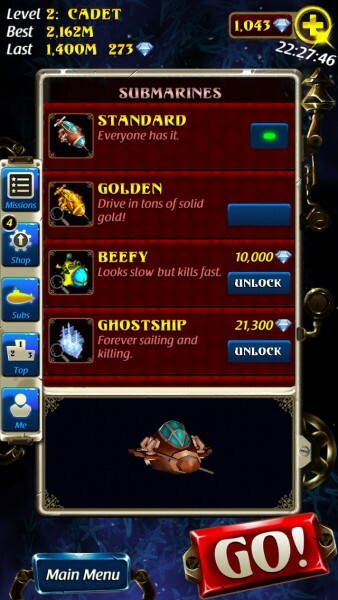 To keep things interesting, there are objectives for you to complete, such as “Kill boss Corona,” “Collect 500 gems,” and more. Completing these will earn rewards, so it’s important to strive for as many as possible — it’s also something to look forward to in each run. 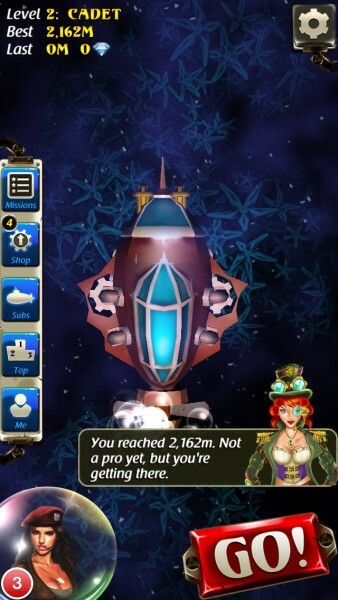 Game Center is supported for leaderboards and achievements. I am rather pleased with this game. The visuals are fantastic, and the tranquil music is delightful. At first, I thought that the game seemed easier than the traditional shmup, but the enemies proved me wrong. It’s quite challenging, and I love the fact that it’s also a test to see how far you can travel before being blown into smithereens. The game ends up being harder than it looks, and who doesn’t like that? 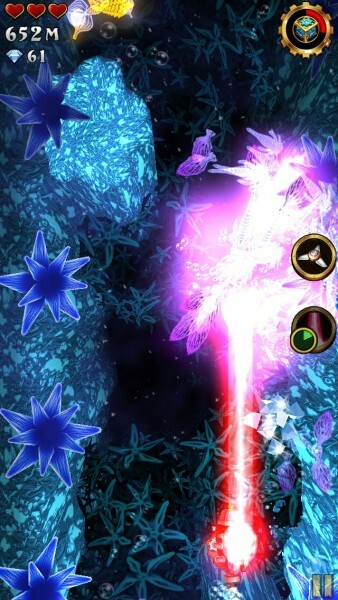 Abyss Attack is quite a nice surprise for the weekend, and I’ll definitely be playing it more in my downtime. I just hope that the developers can optimize it a bit more, as some parts seemed to be a bit laggy. 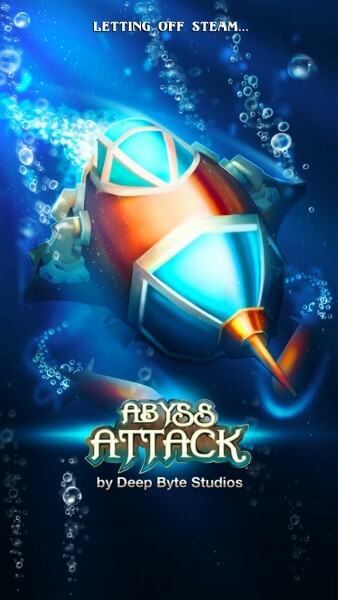 You can find Abyss Attack in the App Store as a universal download for $0.99.